This property is located in the countryside, with no close neighbours. The house is composed . 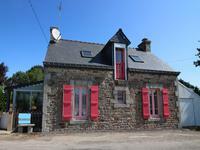 . .
Charming 3 bedroom neo-Breton house on a development on the outskirts of the village. This modern house comprises on the ground floor - kitchen, large open plan living room, WC, . . . This recent house is comprised of, at ground floor, kitchen, large open living room, . . . This plot is located in an eco development, only eco friendly buildings to certain standard . . .
Great potential opportunity for this 3 bedroom stone house with attached hangar, in peaceful countryside with land! This house has everything, but would need a bit of uplifting. Plenty of space for making . 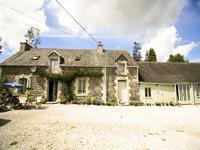 . .
House with character in the countryside with nice garden and large outbuildings. Ideal for holidays. Cute countryside property to be refurbished but very clean, along a quiet road,. House is . . .
Lots of possibilities for this beautiful character building, as either a holiday home or main . . .
Light and airy house, built with high quality materials. It is composed of a large L-shape . . .
A lovely spacious 2 bedroom home, renovation very close to completion and materials included . . .